Finishing Render by Secil, is a lime-based premixed fine top coat render and renovation plaster. Finishing Render is a blend of natural hydraulic lime and carefully selected aggregates. Use as a top coat in the renovation and rehabilitation of exteriors on old masonry and as the designated finish for the ecoCORK insulated render system. 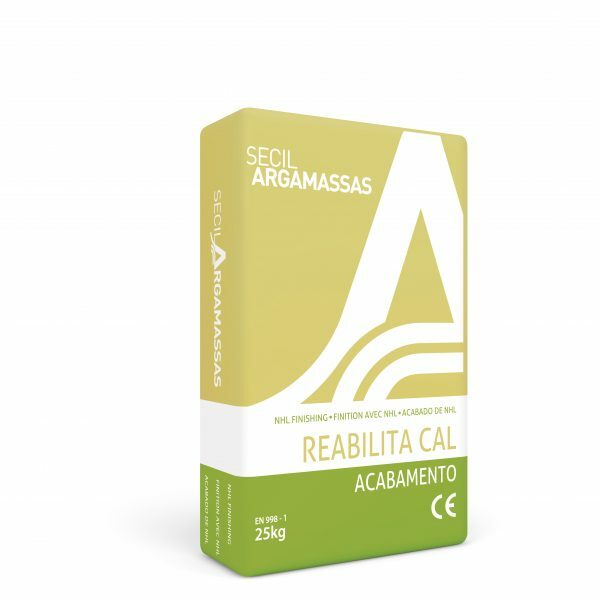 You can also use Secil Finishing Render as a lime filler for repairing cracks and damage on external lime renders. Use on old or young rendered surfaces as a finishing layer in conservation and renovation. The use of natural lime binders, and their special composition, results in an excellent physical chemical behavior and mechanical performance. Its thixotropic adhesion and permeability properties means it is particularly suitable for use over old rendered substrates. Dry bagged product – just add water. Coverage: 25 kg bag of Secil Finishing Render covers 4 m² at 4 mm thick (applied in two coats of 2 mm thick each). It is ideally decorated with SecilTEK AD25 primer and SecilTEK PR 01 mineral paint.